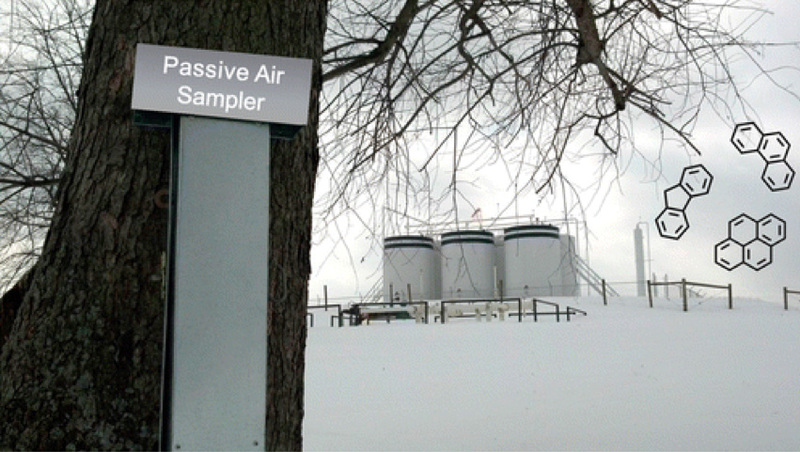 People living or working near active natural gas wells may be exposed to toxic air pollution at higher levels than the Environmental Protection Agency considers safe for lifetime exposure. That's the conclusion of a new study performed by scientists from Oregon State University and the University of Cincinnati, published in the March 26th edition of the journal Environmental Science and Technology. Sampling at various sites adjacent or downwind of fracking wells in Carroll County, Ohio over a three-week period last February revolved around 62 Polycyclic Aromatic Hydrocarbons (PAHs), a category of combustion-produced pollutants already linked too everything from childhood obesity to breast cancer, to lower IQ. Carroll County sits on top of the Utica formation, a gas rich shale deposit. The rural county is a hotspot of natural gas drilling and production, with more than one active well site per square mile. “Air pollution from fracking operations may pose an under-recognized health hazard to people living near them,” said the study’s coauthor Kim Anderson, an environmental chemist with OSU’s College of Agricultural Sciences. The study was initiated by citizens in the area who wanted to more about the health risks they were facing from fracking. They approached Anderson her peers and and the scientist designed the study to include citizen participation. 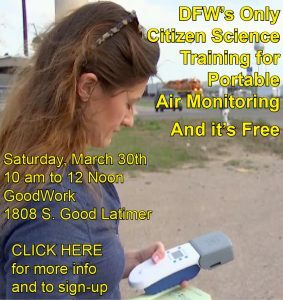 They placed air samplers on the properties of 23 volunteers living or working at sites ranging from immediately next to a gas well to a little more than three miles away. Anderson's samplers are aluminum T-shaped boxes containing specially treated polyethylene ribbons that absorb contaminants in a similar manner to biological cells. Volunteers were trained in proper handling of samplers and documenting of data.After the study period, the volunteers packaged the samplers in airtight bags, labeled them and mailed them back to Anderson’s lab at OSU. Even the lowest levels – detected on sites more than a mile away from a well – were higher than previous researchers had found in downtown Chicago and near a Belgian oil refinery. They were about 10 times higher than in a rural Michigan area with no natural gas wells. By looking at the ratios of individual PAHs detected by the samplers, Anderson and her team were able to discern whether they came directly from the earth – a “petrogenic” source – or from “pyrogenic” sources like the burning of fossil fuels. The proportion of petrogenic PAHs in the mix was highest nearer the wells and decreased with distance. Estimated worst-case maximum residential exposure was 2.9 in 10 000, which is above the U.S. EPA’s acceptable risk level of one in a million. According to the study's abstract, "This work suggests that natural gas extraction may be contributing significantly to PAHs in air, at levels that are relevant to human health."